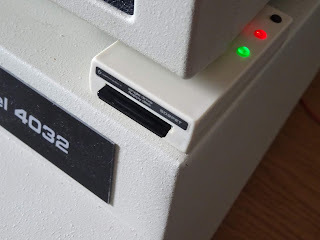 For quite a while now I have been working on a new SD card disk drive for the Commodore PET series of computers. This is SD2PET, and it's available now to pre-order. 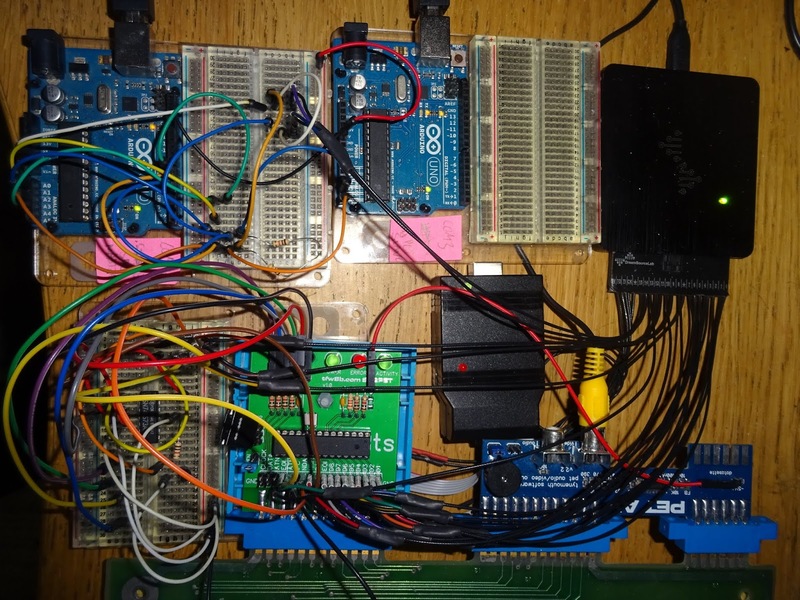 It seems like my bench has been covered with scenes like this for ages. 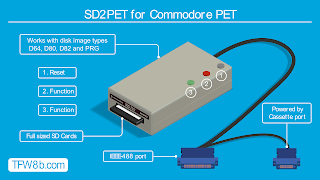 The SD2PET is styled along the same lines as the SD2IEC device produced by The Future Was 8 bit, but has a plug on the end for the PETs IEEE-488 port and datasette for power. The SD card end will sit neatly by the side of the monitor on your PET, or by it's side. The custom moulding for the IEEE-488 port and the additional manufacturing processes necessary to build the SD2PET mean the price of this one is going to be slightly higher than originally planned. 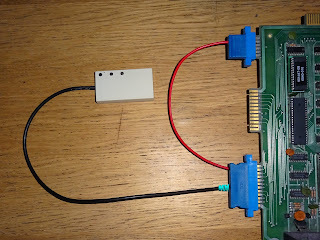 Since we want as many people as possible to have one of these SD card drives, I've designed an alternative version which much the same functionality, but with less elements. 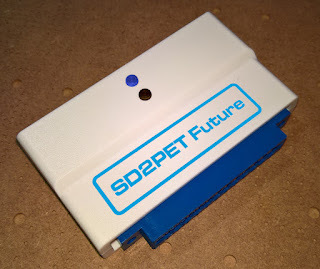 This has been named the SD2PET Future, and plugs directly into the back of the PET IEEE-488 port, with an additional connection to the Datasette port for power. We are expecting there will be sufficient interest so that both versions will be going into production. The SD2PET (the external drive version) has been renamed SD2PET+ to differentiate it from the SD2PET Future. 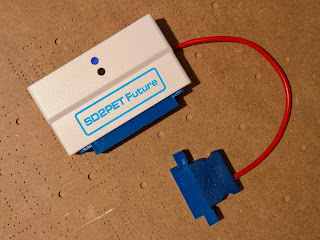 They are available to pre-order now, shipping late Q2 2019. There will be more information on the features and functionality in a future blog post. 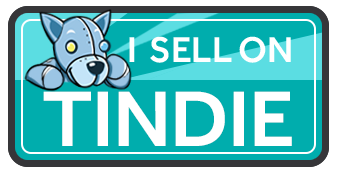 I just wanted to get this one out there with the pre-order links for those who have been clambering to get one since my PET microSD went out of production.